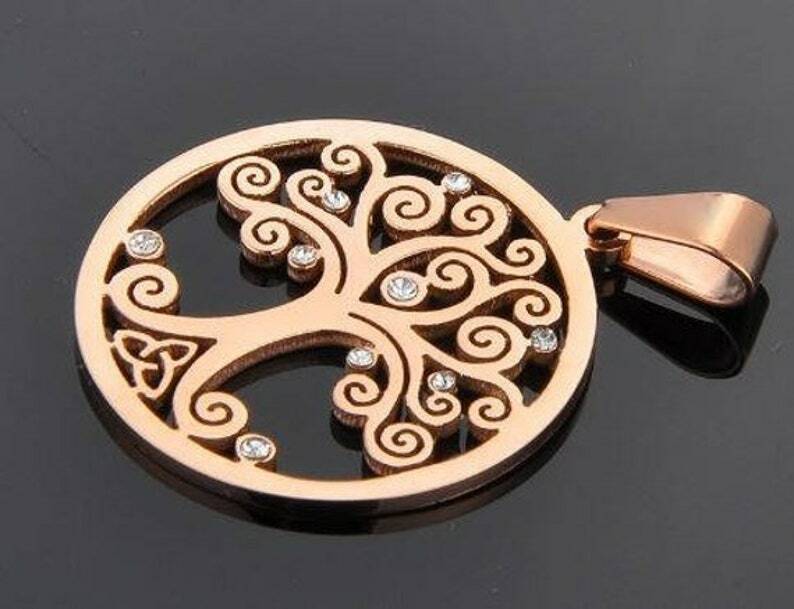 This nice detailed Celtic Tree Of Life pendant is made of 100% stainless steel, and is extremely strong and durable. It also has tiny little crystals spread throughout it, and is plated in rose gold. It will not tarnish easily, and is extremely low maintenance over the long-term. It's measured dimensions are in milimeters (mm), where every 24 mm equals 1 U.S. inch.